(1) or (2) monthly, confidential, one-on-one spiritual direction sessions via video conferencing. A cohort of 4-12 like-minded leaders. A monthly, real-time group session via video-conferencing with your mentor. Carefully selected reading list to deepen your journey. Weekly Facebook interaction with your cohort of leaders. Up to two optional Prayer Retreats, some held at Lake Norman in Charlotte, NC. Please note: Kim’s Individual AIM is identical to the group experience with three exceptions: (1) There are two 50 min. one-on-ones monthly instead of one, (2) There are not group sessions, and (3) the cost is $260/month. 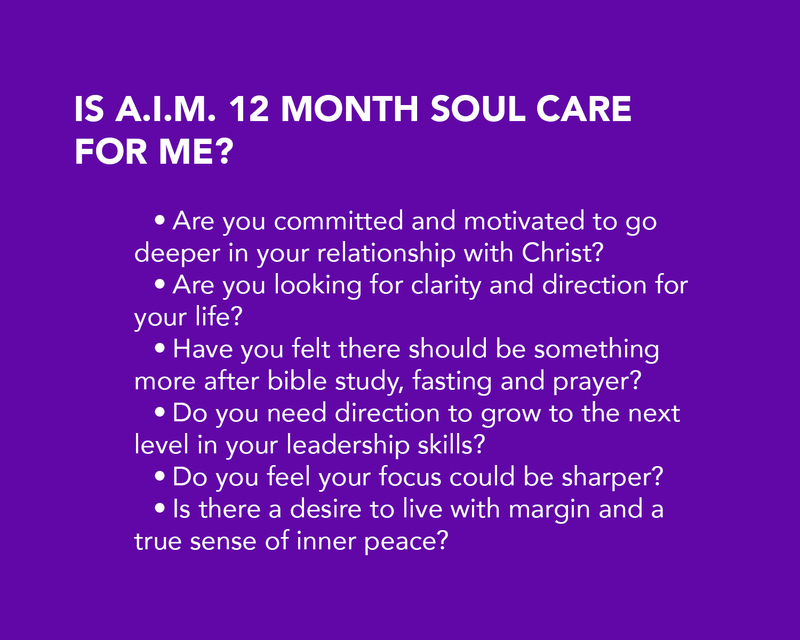 Click Here to apply for The Individual AIM year. Applications are required for admission to the AIM program. I only work with a small group of women at a time and detailed applications and references are required. Slots fill up quickly. Applications for 2019 will be accepted starting June 2018. 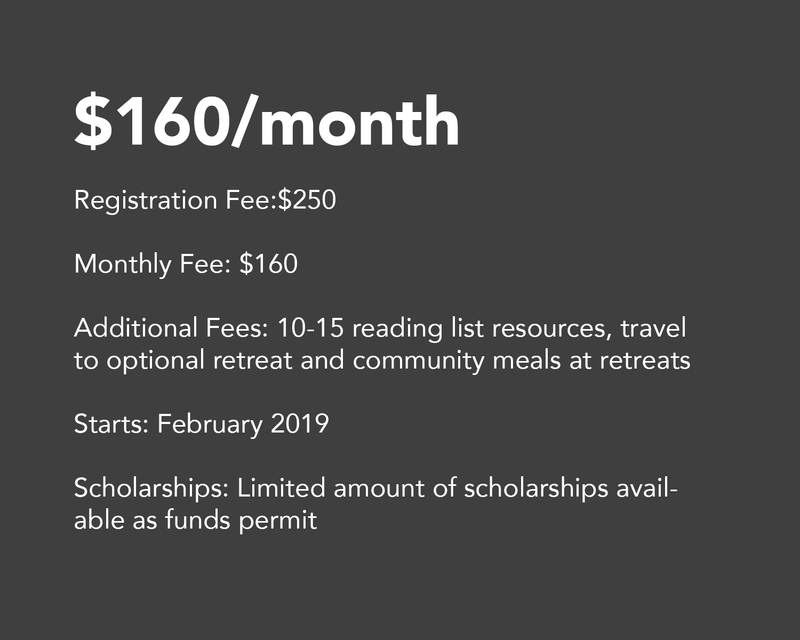 Program starts February 2019 and closing retreat is in January of 2020.